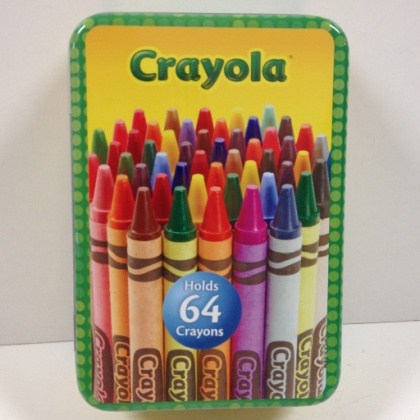 Large Crayola storage tin. Measures 6.25 inches by 4.25 inches by 2 inches deep. Holds 64 crayons not included. Imported and lead free. Just 4 left in stock.